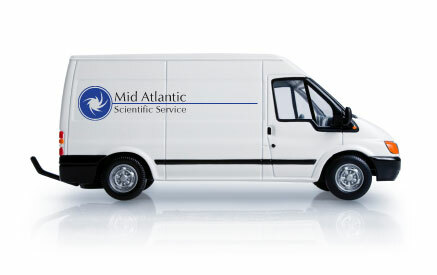 Mid Atlantic Scientific Service, Incorporated provides repair and calibration services in the Mid Atlantic Region on all brands of centrifuges, incubators, shakers, and vacuum systems. We also service several brands of spectrophotometers, thermal cyclers, PCR’s, and refrigeration systems, to include laboratory ice makers. Our Operational Qualification Programs (OQP) provide documented, independently verified NIST traceable certifications to keep your laboratory compliant. We offer four types of service plans to help you budget your maintenance costs on your equipment. This listing is of the most commonly serviced brands. Please contact us for further information; 800-436-8312 or email us at admin@midatlanticscientific.com.